Your icebreaker, 50 Years of Victory, will take you to a part of the world more commonly associated with fairy tales and folklore, the North Pole. Crushing through multi-year pack ice, the journey can take as long as a week, which only helps to heighten the level of excitement. Celebrate with champagne upon your arrival and if conditions permit, soar above the Earth on an optional hot air balloon ride. Day 1: Helsinki, Finland Your adventure begins with a one-night stay in Helsinki, Finland's capital. Day 2: Embarkation Day in Murmansk From Helsinki, you'll join your fellow passengers on the charter flight to Murmansk, Russia, where you'll embark on your voyage to the North Pole and get acquainted with 50 Years of Victory, the world's largest and most powerful icebreaker. Days 3 to 6: Northbound in the Arctic Ocean Being onboard Victory and feeling the icebreaker as it crushes through the arctic pack-ice is an experience you'll never forget. Just as memorable is boarding the ship's helicopter for a thrilling aerial view over the ship and the expansive Arctic Ocean. You can expect variable sailing conditions this far north. 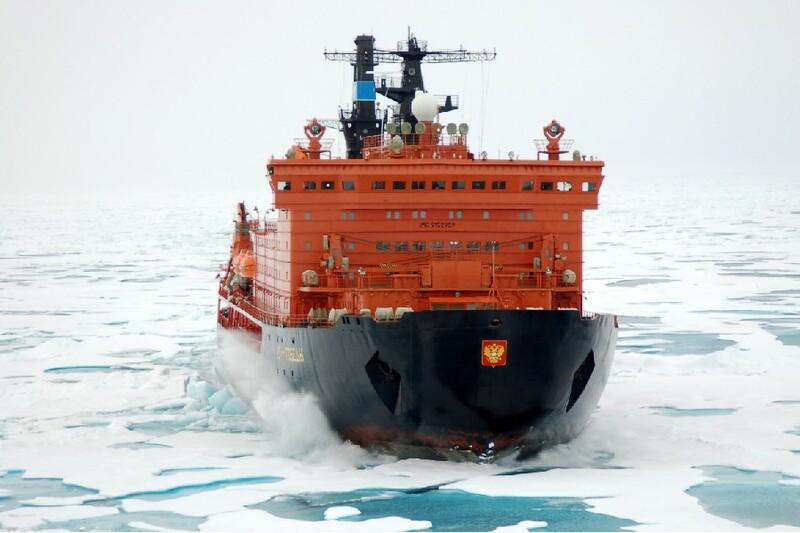 The crossing from Murmansk to the North Pole can take us anywhere from four to six days depending on ice conditions. This means you'll have plenty of time to get to know your shipmates, and be treated to lectures and discussions by our expedition team while keeping a lookout for bird life. There are also many wonderful amenities onboard, such as the ship's lap pool or basketball court. Day 7: 90° North The anticipation reaches a climax as you reach the North Pole! Many travelers find themselves overcome with emotion, while others are in a festive and celebratory mood. Take photos, call your family, wave a flag; just be sure to enjoy your moment at the top! Later, everyone will celebrate with a champagne toast and a BBQ on the ice. 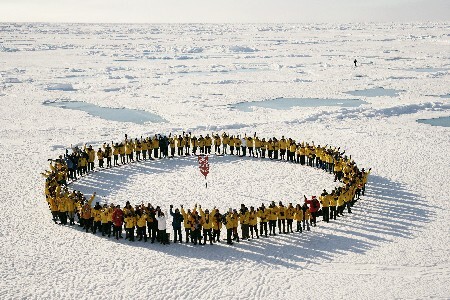 If the opportunity allows, you have the option of taking a polar plunge into the icy waters around the North Pole. We'll also attempt to launch passengers high above the pole in out hot air balloon to commemorate this great moment (highly weather dependent). 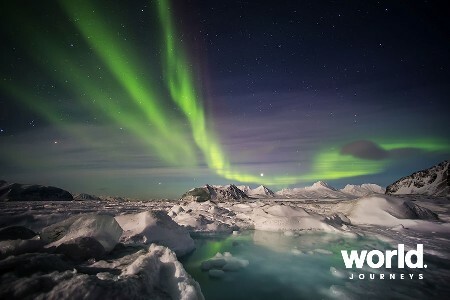 Days 9 & 10: Franz Josef Land This group of 191 islands forms the most northerly archipelago in Eurasia and lies entirely within the Arctic Circle. 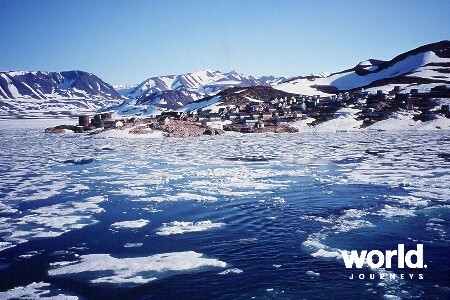 Here you'll explore Cape Flora and discover historic remains from three ill-fated arctic expeditions. 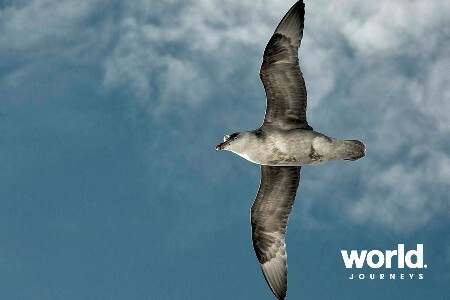 When conditions permit, we'll launch the Zodiacs and cruise beneath towering cliffs to explore remote seabird colonies. The 50 Years of Victory helicopter will provide aerial sightseeing and our Zodiacs will transfer you to seldom-visited landing sites. 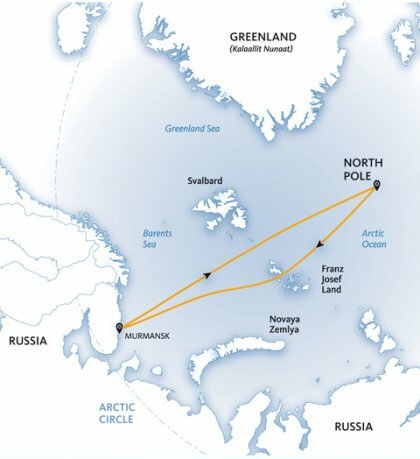 Days 11 & 12: At Sea Enjoy your time on deck or reminisce with your shipmates and new friends as you cross the Arctic Ocean back to Murmansk. 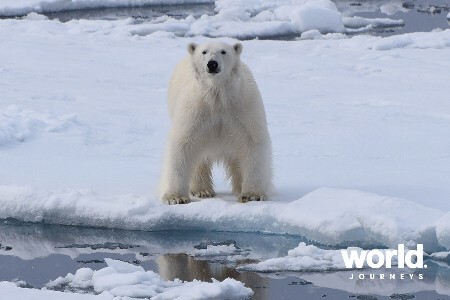 Expedition staff will be on hand to answer any remaining questions, and point out wildlife during the return journey. Day 13: Disembarkation Day in Murmansk Returning to Russia's most northerly city, it will be time to bid farewell to 50 Years of Victory. You'll be transferred to the airport for your charter flight to Helsinki, Finland, to enjoy one final night with your newfound friends. IMPORTANT REMINDER: Embracing the unexpected is part of the legacy and excitement of expedition travel. 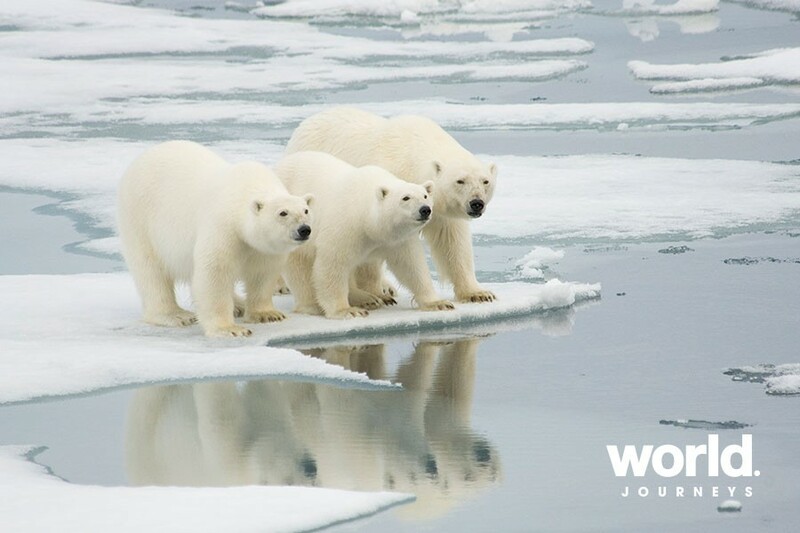 When travelling in extremely remote regions, your expedition staff must allow the sea, the ice and the weather to guide route and itinerary details. The above is a tentative outline of what you'll experience on this voyage; please be aware that no specific itinerary can be guaranteed. 50 Years of Victory Twenty years in the making, 50 Years of Victory is the first Arktika-class icebreaker to have a spoon-shaped bow. Your ship, designed with a stainless-steel ice belt 18 feet (5 meters) wide, breaks through ice up to 9.2 feet (2.5 meters) thick! This is the world's largest, most-powerful icebreaker. Complete with a helicopter for shore excursions, Victory is a ship unlike any other, with the ability to go where other ships cannot. Enjoy your time on board by chatting over cocktails at the bar, swimming in the pool or checking out the gym, library and saunas. All cabins have exterior views and private facilities. • Shipboard accommodation with daily housekeeping • All breakfasts, lunches, dinners and snacks on board • Non alcohoolic drinks, beer, wine and soft drinks during lunch and dinner. (All other bar beverages are available at an additinal cost) • All shore landings per the daily programme • Leadership throughout the voyage by our experienced Expedition Leader • All Zodiac transfers and cruising per the daily programme • Formal and informal presentations by our Expedition Team • Downloadable photographic journal documentation the expedition • Waterproof expedition boots on loan • An official Quark Expeditions parka to keep • Coffee, tea and cocoa available around the clock • Hair dryer and bathrobes in every cabin • Comprehensive pre-departure materials, including a map and an informative Arctic Reader • All miscellaneous service taxes and port charges throughout the programme • All luggage handling aboard the ship • Emergency evacuation insurance to a maximum benefit of USD 100,000 per person • Russian invitation letter for visa application provided after final payment • Group helicopter flight seeing in the daily programme. • Single cabin prices available on request. Please note that if you are a solo traveller taking advantage of the 'Request Share' program, not all cabins apply. • Please contact World Journeys for the updated US exchange rate.